Helping employees learn and grow is the key cultural quotient on which Infosys thrives. Trespassers will be 'recruited', T.V. Mohandas Pai declared solemnly at the launch of the Indian School of Business (ISB) in Hyderabad that promised to become a top talent school. It was circa 2001 and Infosys had just set up its campus right across the road. Pai, then Director and Head of Human Resources at the company, jokingly hinted that the IT bellwether was hunting for top talent and all were welcome from ISB if they fit the bill. In the 17 years that followed, the company had a rollercoaster ride and witnessed major changes in its top leadership. Pai has moved on and currently heads the board of Manipal Global Education Services. However, Infosys has coped well with 'changes' and holds a coveted spot among the top five in the latest Business Today listing of Best Companies To Work For. It is not an easy achievement. Key resources get headhunted all the time as Narasimha Rao Mannepalli ('Narry' to most Infoscions) can tell you only too well. He joined Infosys in Hyderabad as a senior project manager just then. 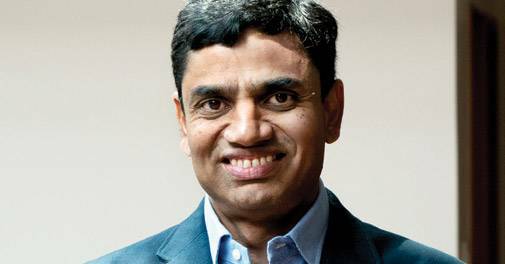 Today, he is the Executive Vice President of Infosys and heads its cloud, infra, security solutions and validation solutions verticals. He has also been part of the leadership team in Hyderabad. Ask what has made him stay and he says it is his belief in the value-driven and meritocratic organisation. "Here we can work fearlessly and be assured of the opportunities and rewards. I have got new and exciting opportunities which helped me grow professionally and personally." Sitting at the company's Bengaluru headquarters , Krishnamurthy (Krish) Shankar, Executive Vice President and Group Head-Human Resources, concurs. With the IT industry in flux, the challenges are many - right from growth issues to workforce turnover. "However, the value proposition has not changed," says the HR veteran who writes a blog called People Matters and runs half marathons/campus-wide races. "At Infosys, the value proposition is built on learning and emotional and financial value additions. The core is about how you create a company where everybody is continuously learning. For us, that is the key thing. What has changed over the years is how you deliver it. The medium through which it is delivered and the way people want it have changed," says Shankar. His personal goal over the next 12 months is "to create a true learning organisation with a lot more of mobile, multiskilled workforce". As learning forms the core of Infosys DNA, the company invests heavily in it. Several learning tools and aids are available on a video-based micro-learning platform besides tie-ups with massive open online couRs e providers for training content. "We help people transfer and deploy that learning through our accelerator," says Shankar. "Plus, there is a digital platform for career and skills management called Compass. It helps employees find competency gaps between their current and aspired roles and enables them to identify training programmes to develop those competencies." The company is also building upon its recently introduced performance appraisal system called iCount where employees get reviews and feedback throughout the year instead of a one-off evaluation, and people are rewarded for individual performance. It is a move away from the traditional bell curve method that feeds 'forced ranking' and clubs people into broad categories based on whether they have achieved their stipulated targets. In contrast, iCount offeRs an open ranking and a holistic growth environment. A recent example is MaQ, a personalised learning solutions platform that utilises crowdsourced feedback and analytics to review and build 'manager quotient'. The programme uses data culled from company surveys, exit interviews and employee feedback to allow manageRs to see how they are doing on certain core competencies such as motivating teams, executing projects, innovating, networking and mentoring. "We started it only six months ago, but it is already showing results in one of the units where we piloted it. We have seen growing employee satisfaction," says Shankar. Silicon Valley may have a long struggle ahead to improve gender diversity, but the IT behemoth from India has worked dedicatedly to address the issue. In the course of his conversation, Shankar ropes in B.S. Nanjappa, Vice President and Head of Employee Relations, who has been in this role since 2003. Both pick out a number of distinctive measures that pushed the company beyond the basics. According to staffing data, out of its total workforce of 2,01,691 as in December 2017, 36.2 per cent employees are women. Plus, they are entitled to cool perks such as remote working for nine days a month as against just two days earlier. Those returning after a maternity break are soon got up to speed. There are even apps to stay connected when one goes on long leave. With women joining the workforce in droves, safety is another area that is always under the scanner. Infosys has several measures in place to enhance employee security, but the murder of a woman employee at its Pune campus in January 2017 is a grim reminder that nothing can be completely foolproof. Following the incident, apparently caused by a rogue element (the company got an external agency to review it and also looked internally at its people), more checks and controls have been introduced. The company has developed an emergency app for fast communication; round-the-clock security audits are conducted on weekends and managers have access to safety dashboards. According to Meghraj Mookerji, a Senior Associate Manager (Facilities), "If it is late in the day, you will not be working alone in the office. There are dedicated workspaces where people work in groups. They could be from various departments, but the key point is you are not left alone on a floor." He thinks sensor-based automation and security systems could be increasingly used across campuses as these may also check water leakages and track people movement on the premises better besides providing lighting solutions. Among other hallmarks, there is the HALE (Health Assessment and Lifestyle Enrichment) initiative, launched in 2003. But over the years, it has seen new elements getting added to make it more comprehensive. "We focus a lot more on providing for people so that they can look after their health, be it mental health treatment or leisure activities," says Shankar. Nanjappa agrees. "Today there is a genuine focus on mental health. And the use of technology ensures segmented and peRs onalised approach." In fact, measuring the impact on employee productivity with better health interventions could be the metric that many companies would start deploying shortly. How attractive is Infosys nowadays for brilliant professionals? Staying at the cutting edge of learning undoubtedly empowers knowledge workers and is bound to woo all current and future Infoscions. But is that enough, given the company has taken a few knocks due to leadership conflicts, Brexit impact and the Trump era regulations? Ask what his pitch would be to attract prospective candidates against this backdrop and Shankar does not seem too perturbed. "We have focussed on continued and transparent communication with our employees. What matters to them is very important for us. All these (the initiatives we have discussed) have to do with their growth, their career and their learning." Mohandas Pai is slightly circumspect in his summing up. "Infosys gets high-quality talent at the middle-to-senior level as it is a great company to get in. For them, it is still an aspirational company with good prospects, and it is a place where they are all treated well. But it could do better at the entry level if it pays adequately. It still gets very good people because the selection process is good and the entry criteria are very tough. But it could get a lot more top talent from the 20-odd premier institutions if it were to increase the entry-level pay from, say, Rs 3.5 lakh a year to Rs 5-6 lakh." If that happens, Shankar may find even more 'trespassers ' coming in to join the team.